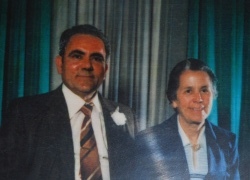 Above: His parents, Panagiotis and Chrysanthi. 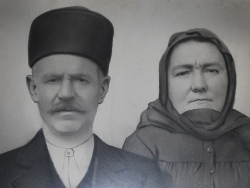 Above Right: With his wife, Stavroula. 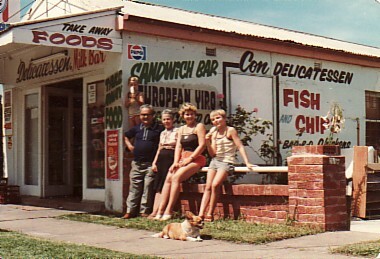 Above: Outside the family business, Con's Delicatessen in Wollongong (New South Wales); Kostas is first from the left, while his wife, Stavroula, is next to him. The family owned it for seventeen years (1967-81). 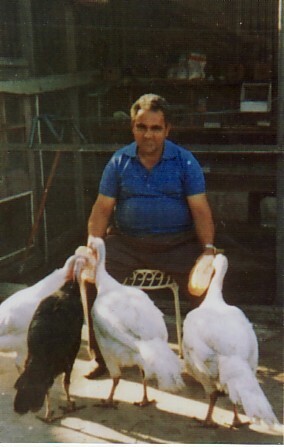 Above Right: At his farm, in Picton (new South Wales), where he lived from 1981.